7Solutions India is a highly experienced grating detailing services, steel grating detailing services provider company as per the industry standards. We are proud to offer grating detailing services and we will gladly coordinate of specific grating detailing engineering services to assist our worldwide clients in completing their project on time and on budget. Our team is customer focused and we strive to create loyalty through the pursuit of continuous improvement, innovation and the desire to be the best at what we do. Our steel detailers are also experienced in the detailing of smaller miscellaneous steel such as stairs, railing, ladders, etc. We are also committed to providing a quality grating detailing services in both the Commercial and Industrial sectors while maintaining a reputation for excellence in services provided. 7Solutions India has the capability and flexibility to cater for large or small scale grating detailing projects. 7Solutions India has developed a reputation of high quality, excellent customer service and innovative solutions. All of our drawings are sent electronically and can be supplied in a variety of formats as per client’s requirements. We would be pleased to hear from you. 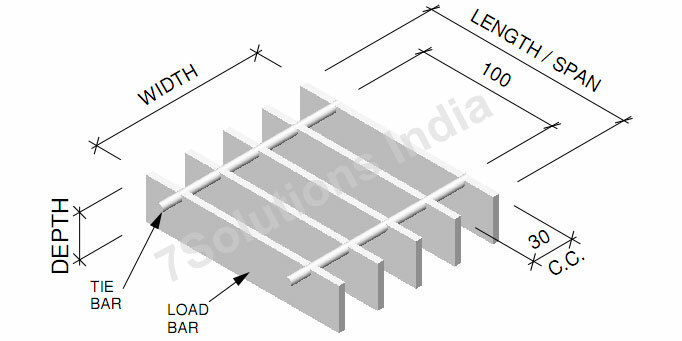 Contact Us or email: info@7solutionsindia.com to your structural Grating Detailing requirements.